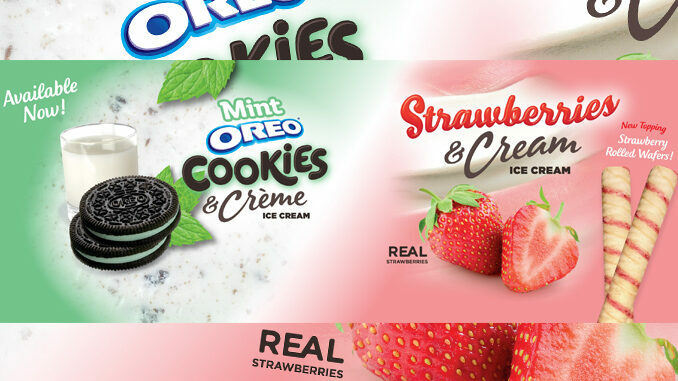 Yogurtland expands its ice cream lineup with the introduction of two new scratch-made ice cream flavors: Strawberries & Cream Ice Cream and Mint Oreo Cookies & Creme Ice Cream. Mint Oreo Cookies & Creme Ice Cream features rich and creamy ice cream with a blend of real Oreo chocolate cookies and mint. Strawberries and Cream Ice Cream combines the chain’s scratch-made ice cream with the tart and juicy flavor qualities of California strawberries and the fruitiness and jam-like quality of Northwest strawberries. 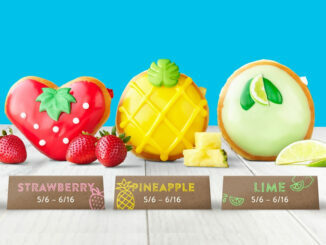 The new flavors can be found at all Yogurtland locations nationwide through the end of March, 2018. Yogurtland first introduced ice cream to its menus last summer.